Intellibuzz is the leading provider of telecom and mobility management solutions provider for any size enterprise and government [PSUs] with razor-sharp visibility, transparency and control of their organization-wide Fixed Voice, Mobile Voice and Mobile Data, Data Communications expenses, telecom infrastructure investments and telecom maintenance costs. ExpenseBuzz.com Telecom Value Management is a product from our Research & Innovation labs. Visit ExpenseBuzz.com to know more and sign up for a free demo of the software platform. 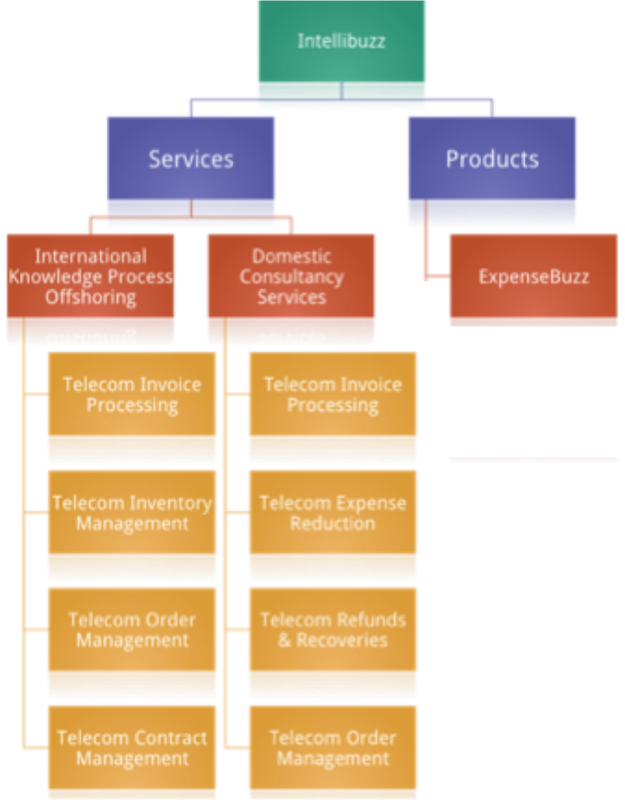 Intellibuzz TEM solutions address the full telecom service life cycle based on the Intellibuzz’s Total Telecom Expense Management framework. We enable companies to better plan telecommunications spend, source optimum contracts, ensure that they buy services against those contracts, monitor user and vendor compliance, provide telecom bill audit and accuracy, and analyze overall spend for ongoing improvements.